Both the 15-inch and 17-inch versions will have overclockable RAM options. The Lenovo Legion Y730 is a midrange gaming laptop that isn’t afraid to fly its gamer flag. 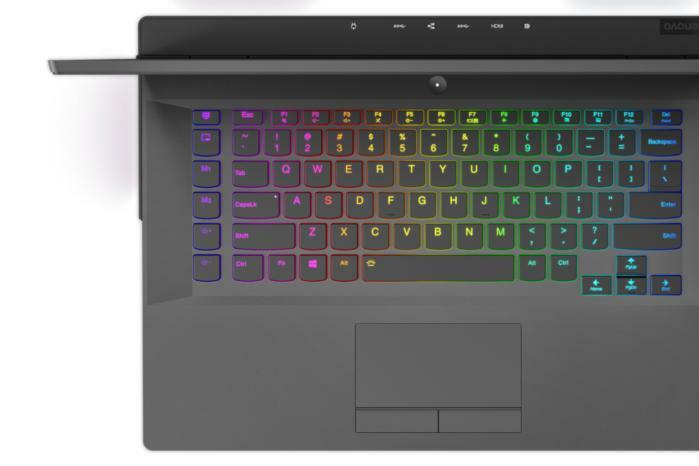 The laptop flaunts RGB backlighting in the vents and even underlights that emanate from the sides. That’s cool. But it isn’t all show for the Legion Y730. When this laptop ships in September in 15-inch and 17-inch versions, it’ll also have overclockable RAM, and a new dual-fan thermal system to keep temps under control. You’ll see when we dive into the specs next. The 15-inch Legion Y730 will have a starting price of $1,180, and the 17-inch version will have a starting price of $1,250. Other than their obvious difference in size, the two models will share many common features, including all-aluminum “Iron Gray” paneling, and the specs detailed below. Memory: Up to 32GB DDR4, or you can get up to 8GB of that and 8GB of Corsair Overclocked Memory. Display: All displays will be FHD (1920x1080) anti-glare IPS with a maximum brightness of 300 nits, with the choice of either 60Hz or 144Hz refresh rates. GPU: Choice of Nvidia GeForce GTX 1050 or GTX 1050 Ti. These are Nvidia’s midrange discrete GPUs. Storage: Choices of 128GB-512GB PCIe NVMe SSDs and 1TB or 2TB hard drives. Connectivity: Lenovo arrayed most of the ports on the back of the Legion Y730. There you’ll find (as seen in the photo below, left to right) miniDisplayPort, full HDMI, USB 3.1 Type A, RJ-45 ethernet, another USB 3.1 Type A, the power port, and a lock port. On the left side you’ll find a Thunderbolt port and an audio jack, and on the right side you’ll find a third USB 3.1 type-A port. 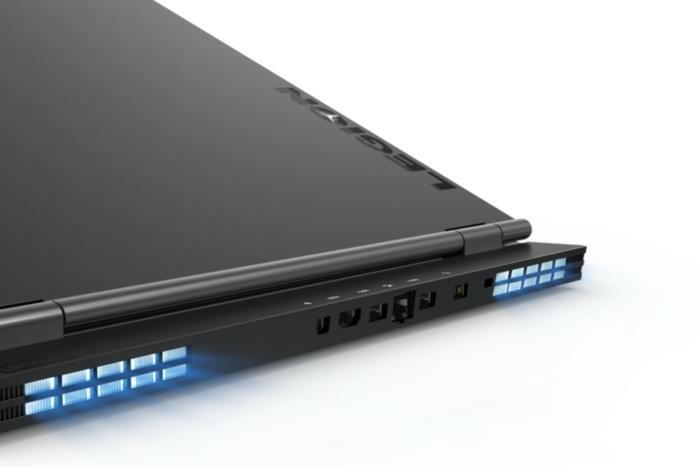 The rear ports for the Lenovo Legion Y730 (15-inch and 17-inch) include, from left to right, mini-DisplayPort, full HDMI, USB 3.1 Type A, ethernet, another USB 3.1 Type A, the power port, and a lock port. Battery: All lithium polymer: 3-cell, 52Whr for the 15-inch version; 4-cell, 76Whr for the 17-inch version. Dimensions: 15-inch: 14.23 x 10.51 x 0.78 (front) - 0.88 (rear) inches. 17-inch: 16.24 x 12 x 0.86 (front) - 0.95 (rear) inches. Weight: Up to 4.8 pounds for the 15-inch version, up to 6.4 pounds for the 17-inch version. 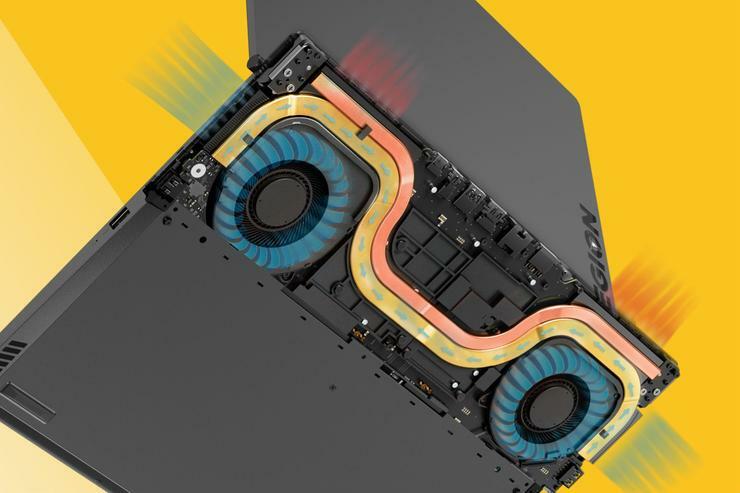 The thermal system (pictured in the primary image, above) places the fans on either side of the laptop, so air can be routed from the sides and out the back. This design maximizes airflow and also keeps hot exhaust away from the user. This is assuming the laptop is on a work surface rather than your lap (most likely, you wouldn’t have a laptop as heavy as this right on your lap). Corsair’s iCUE software controls the RGB-backlit keyboard’s 16 million colors. 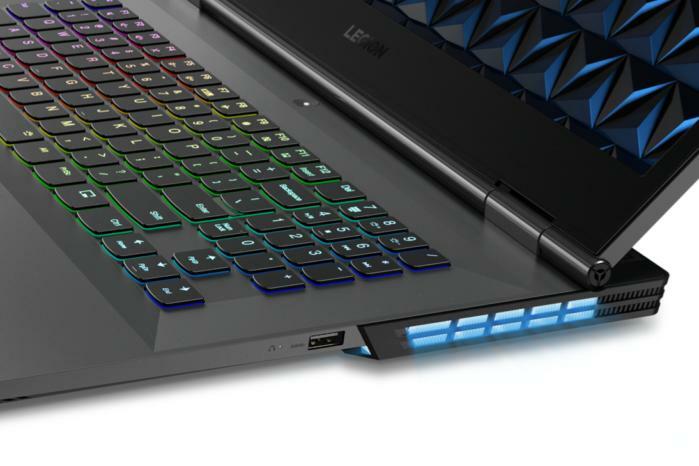 Lenovo partnered with Corsair to bring credibility to its RGB lighting scheme for the Legion Y730 laptops. The RGB, 16MM-color backlit keyboard, vent lighting, and underlighting are all controllable via Corsair’s iCUE software. If you’d prefer the lower-key approach of the entry-level Legion Y530 and Legion Y7000, you can turn them all off. The Lenovo Legion Y730 gaming laptop has RGB lighting from its vents and even underlighting to give your work surface a bit of glow. The Lenovo Legion Y730 remains firmly midrange with its GTX 1050-grade GPUs. The addition of Corsair overclockable RAM and RGB lighting gives mainstream gamers a bit more blitz and glitz, with pricing to match.